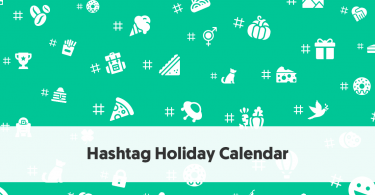 Instagram Stories is a fun and engaging feature where users post a series of photos or short-form videos that appear on Instagram for 24 hours. This feature has become extremely popular, and more so, due to the plethora of options available to make them more interesting. There are a wide variety of apps available to make fun and engaging Instagram Stories. Some apps add effects and animations to Stories, while others allow more advanced photo and video editing features. While Instagram itself provides a lot of creative options to create Stories, using more specialised apps can further enhance your Stories. This video and photo editor app is one of the best apps to create Instagram Stories. 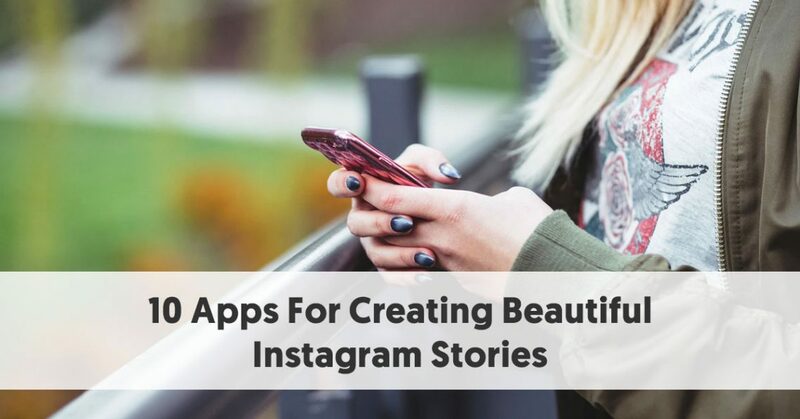 This brilliant app provides a plethora of easy-to-use design features to help you create beautiful Instagram Stories. 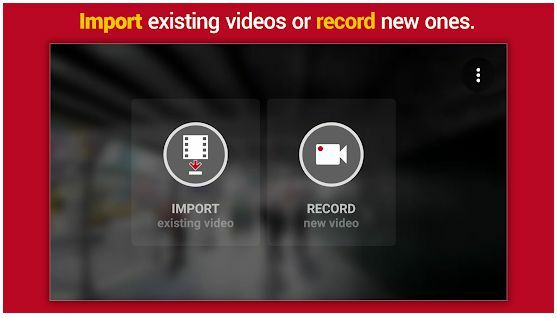 The InShot video editor has a range of features and allows you to trim, cut, split, crop, or merge videos. It also provides various video backgrounds, filters, and effects. You can also add music and sounds to your videos, with an option to fade music in and out. There is an option for speed control using which you can make slow-motion or fast videos. You can also manage a video’s aspect ratio to make it fit different platforms. The app also comes with text, stickers, emojis, and other design effects that can be added to both photos and videos. InShot is a great app for amateurs and professionals alike. With so many video and photo editing features, this app has everything you need to create Instagram Stories. This app is available for both Android and iOS devices and is one of the highest-rated apps on both platforms. 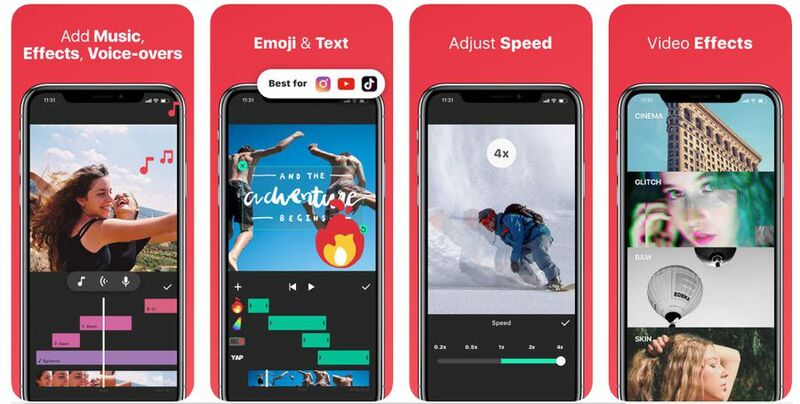 This is one of the highest-rated Instagram Story editing apps on both the Play Store (4.7 stars) and Apple Store (4.8 stars). This app is very easy to use, as it provides a huge variety of preset templates that you can directly use to create your Instagram Stories. Apart from the templates, it also provides myriad options to add design effects. You can add text with varying fonts, filters, themes, and other design effects. The app can be downloaded for both Android and iOS devices. This Instagram Stories editor has some free and some premium features. The app provides minimalistic, elegant templates for creating beautiful Instagram Stories. It supports both photo and video stories and has plenty of design options for each. The app doesn’t require users to set up an account. You can simply download the app and start creating and sharing high-resolution Instagram Stories. Find this app in the Android as well as iOS app stores. Canva is a popular photo editor that you can use to create beautiful photos with text overlay and other effects for your Instagram Stories. 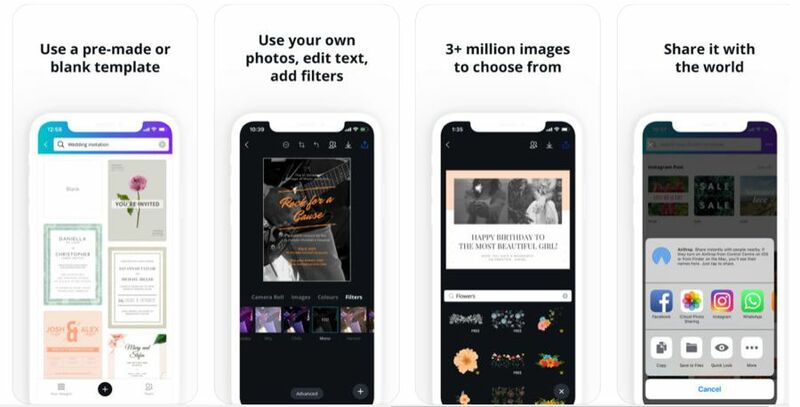 This graphic design app has one of the highest collection of templates that you can use to craft engaging Instagram Stories. The app also has a huge collection of stock images that you can use as a background image for your Instagram Stories. Apart from these features, Canva also offers various photo editing features including fonts, text, filters, etc. The app can be used to create and share images to multiple platforms. Canva is available for both Android and iOS devices. You can also use Canva on your desktop. Adobe Spark Post and Video apps are great for creating Instagram Stories. The Spark family of apps allows users to add video clips or combine pictures to make a video Story. It can also be used to add effects to pictures. There are several sounds, fonts, animations, and other design effects that you can add. The app is easy to use and does not require any design expertise. You can add effects from a huge collection available on the app. For video Stories, sounds can be added either from the app collection or from your own phone. The app also has a myriad of themes available for different types of Stories and messages. The app supports Android, iOS, and desktop platforms. This is a simple, easy-to-use app to make picture or video collages for your Instagram Stories. PhotoGrid has several templates, specifically for Instagram Stories, that you can choose from. It has a lot of filters, stickers, fonts, and photo effects that you can use to create customised images. The app also provides photo editing features like clipping an object from a picture or removing the background. It also has some beautifying features to add or remove makeup in selfies and profile shots. And it has a selfie camera with which you can take selfies and it will automatically beautify the images. PhotoGrid can also be used to create memes for Instagram Stories. Additionally, it provides the option to add GIFs to those memes. You can download the app for both Android and iOS devices. If you are looking for an app that lets you quickly add fun and attention-grabbing text over your Instagram Story images, look no further than Typorama. It lets you create beautiful typographic designs with ease. All you need to do is select a background and start typing your message. The app has a wide variety of typographic layouts with different font and typeface options to choose from. Apart from the advanced text tools, this app also provides several photo editing features. From filters and overlays to image correction options, it has everything you need to polish your background images. This app is currently available only for iOS devices. This is an app that lets you easily and quickly create time-lapse videos that you can share on your Instagram Stories. You can use this app to either create time-lapses or modify the speed of your existing videos. The recording time limit for time-lapse videos is 20 minutes. For changing the speed limit, it can increase the speed by up to 32 times of the normal speed. This iOS app lets you create a series of 15-second videos for your Instagram Stories by cutting a long video. 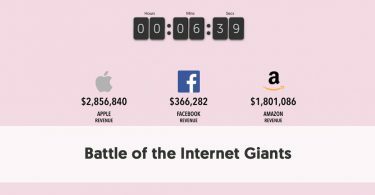 One of the key challenges faced while posting video Stories is that an Instagram Story needs to be shorter than 15 seconds. 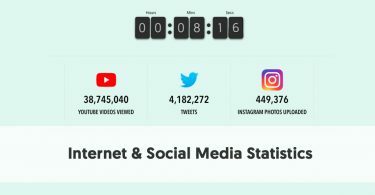 This app solves that problem and creates a continuous stream of 15-second videos that you can directly post as Instagram Stories. 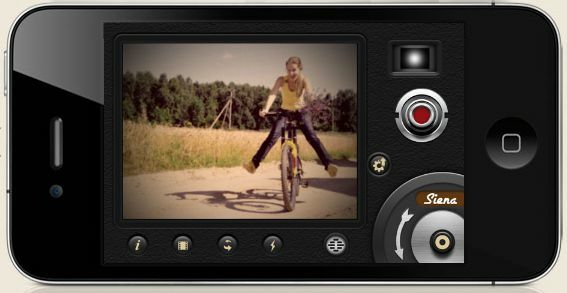 This is a vintage camera app that lets you record videos in a retro 8mm camera fashion. This is a good app to create Instagram video Stories with a retro touch. The app also provides you with the option to add effects to existing videos from your gallery. Currently, the app is available only for iOS devices. 7 types of lenses, such as Clear, Flickering Frame, etc. Instagram Story editing apps are a great way to make your Stories stand out and grab your audience’s attention. Whether you are a brand or influencer, these apps can help you send your message across in an attention-grabbing way. Add these apps to your creative arsenal and boost your Instagram Stories game like a pro.